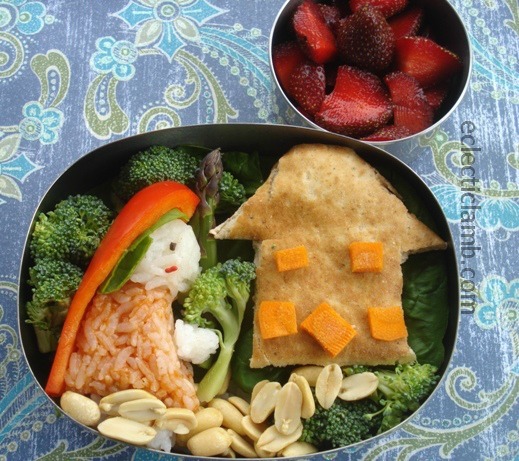 I was inspired by a reader suggestion to make a Little Red Riding Hood bento. I was not sure about how this turned out but my 14 year old niece loved it. This entry was posted in Bento / Cute Food and tagged bento, fairy tale, vegan. Bookmark the permalink. Very cute! 🙂 Sorry haven’t visited much lately but your bentos are as awesome as ever! Too cute! I am already looking forward to getting new lunch containers for school, can’t start soon enough! Thank you! Packing lunch can be fun!